With the aim of providing players with the best possible entertainment experience, Mr Green Casino offers a broad range of online casino games. A loyalty reward program, as well as regular bonuses and promotions, strengthens the idea that players are at the forefront of Mr Green’s thinking. Specifically launched in the Swedish market in 2008, Mr Green has broadened its horizons and is now a major online Casino operator. Winning the 2013, 2014 and 2015 award for Casino Operator of the Year in the International Gaming Awards has only enhanced its reputation. 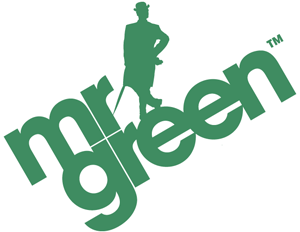 Mr Green is owned by Mr Green Limited, and licensed by the Lotteries and Gaming Authority of Malta. Over 400 internet casino games are on offer on Mr Green, including contemporary video slots and games with progressive jackpots, as well as themed slots such as Terminator 2 and South Park. Traditional casino lovers are also catered for, with the inclusion of classic table games, such as Blackjack, Roulette and Poker. Modern variants of the classic games are offered, in addition to the option of playing without wagering money for those who just play for fun. NetEnt, Microgaming and Playtech are just three of the software providers that Mr Green employs for the game quality, to ensure that players are enjoying the best games with the best graphics. Mr Green adds new games every week to grab the attention of both new and existing players. Furthermore, the website has a quality assurance measure, meaning that inappropriate games or games of poor quality are not considered for use, ensuring the site’s high standards are maintained. Mr Green offers a generous welcome bonus of up to £100 to new members. On first deposit, players can get 100% up to £100 and they receive 100 bonus spins on their exclusive and own-branded slot machine game, ‘Mr Green Moonlight.’ Existing members are also looked after by Mr Green with the loyalty reward scheme. Players can earn points each time they play at the casino, that can later be transferred into lottery tickets for the Casino, with weekly draws to determine free cash for winners. Unique to Mr Green, the Green Gaming policy allows players to set personal deposit, loss and wagering limits over specific periods of time so that they can moderate their spending, thus providing players with a safety mechanism by which they can play the games. Mr Green accepts standard payment options from providers such as MasterCard, Visa and NETELLER. Mr Green’s customer support team are available from 8:30am to 12am every day with a response time within 24 hours. Outside of this time, an FAQ section is available on the website, with questions answered regarding payment, deposit and gameplay rules.